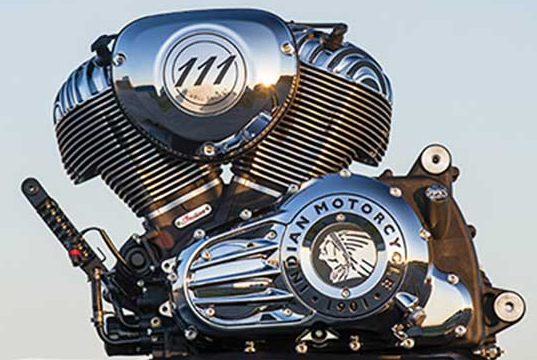 The latest attempt at reviving the iconic but long-troubled Indian motorcycle brand was unveiled at the annual biker rally in Sturgis, S.D., in early August. The newest Indian Motorcycle lineup, created by Polaris Industries after acquiring all the rights to the Indian name, trademarks and bikes two years ago, consists of three models: the Chief Classic, which starts at $18,999; the Chief Vintage, a soft bagger with a $20,999 M.S.R.P. ; and the $22,999 Chieftain, the brand’s first hard bagger. In a sneak preview near the company’s headquarters outside of Minneapolis, I had a chance to view, evaluate and test-ride the bikes. I can say my initial impressions were entirely favorable. Polaris, which also owns the Victory brand of motorcycles it started about 15 years ago, brings the kind of engineering know-how, deep financial reserves, styling expertise and marketing muscle that Indian has been starved for almost since its founding in 1901. The original company went bust in the 1950s, and other groups have since tried to resuscitate the brand multiple times, without much success. One of the limiting factors has been around trying to honor Indian’s classic styling, with thick, valanced fenders – a look that has been frozen in time, like a fly in amber. Polaris seems to have managed to walk the fine styling line between caricature and character. Its Indians feature the requisite gobs of chrome, lavishly sculpted parts, and voluptuous lines. The “wow” factor when first seeing the bikes cannot be understated. The bikes exude the essential amounts of charisma, cachet and mystique that I believe are needed for this Indian revival to have staying power, not to mention give rival Harley-Davidson a run for its customers. Horsepower is a non-published number, but there certainly seemed to be plenty of punch available during a two-hour test ride on rural roads around sections of historic U.S. Highway 61. The engine will deliver immediate and substantial bursts of power, when prompted in any gear. 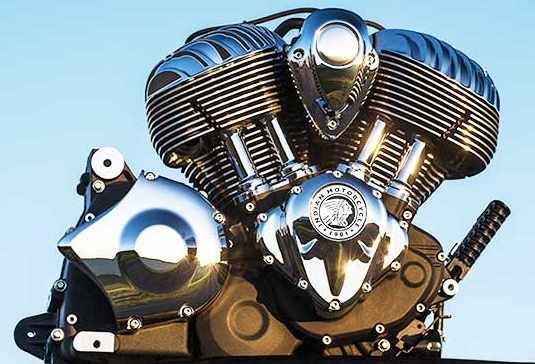 The exhaust notes are deftly tuned to deliver the optimum, but not deafening, amounts of burble, howl and wail – critical aural components of any cruiser-style motorcycle aspiring to compete for the hearts, minds and ears of the “loud pipes save lives” Harley crowd. The engine felt like it could withstand a lot of hard riding and heavy-handed throttle application; it has the equivalent of 2.5 million miles of development behind it, Mr. Gray said. Even when ridden at high speed on badly worn washboard pavement, the bike kept its composure. It cornered well, and felt much more maneuverable and nimble than its substantial curb presence might suggest. For instance, the warbonnet lights up with LEDs; in fact, all the lighting on the new Indian models employ LEDs exclusively. Although I did not ride the bikes at night, the lighting brightly illuminated the darkened barn in which the bikes were stashed. Polaris has tried to anticipate every argument a potential customer might have against giving the new Indian a try. “We are offering a one-year unlimited warranty and four years of extended service,” Mr. Gray said. 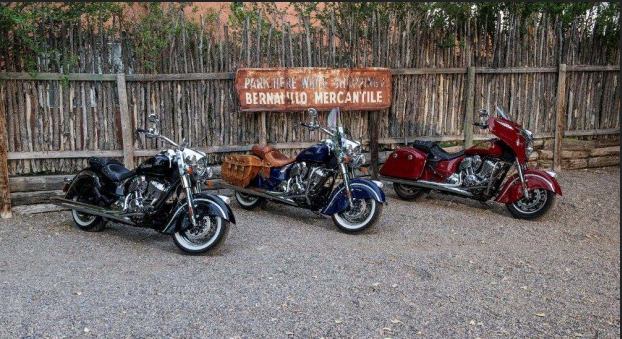 “We will also offer trade-in assurance: 70 percent of its original value after two years, 60 percent after three years.” If you don’t live close enough to a dealer, Indian will even pay up to $250 to fly you to the nearest one. A television spot developed for the launch shows a Harley owner lavishly cleaning, buffing and shining his bike; in the ad’s punchline, he slaps a “For Sale” sign on it and walks away. After riding the new Indian, I get it.